Good morning Fox! Does he know our name is Fox? Or is that Foxes meet Fox? 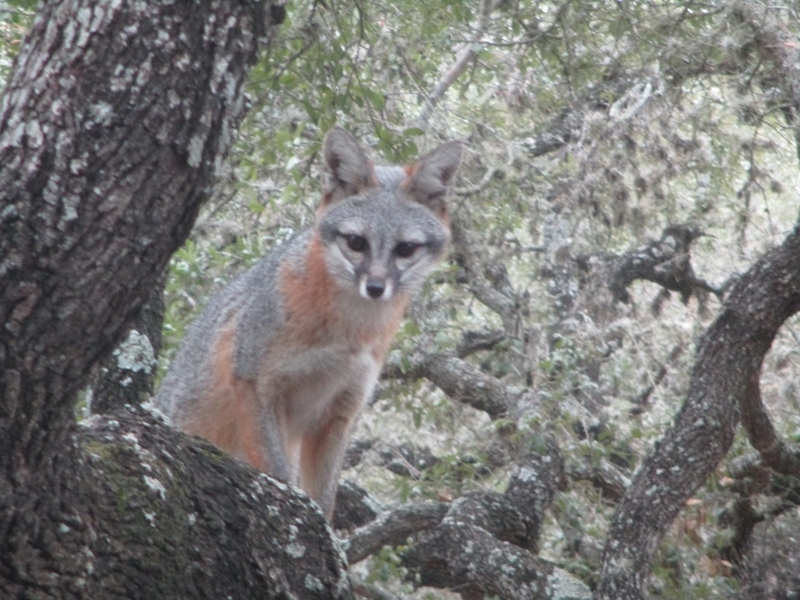 We have several fox families living along the creek behind our house and despite the reddish coloring they are known as Gray foxes. They do love to climb trees. It's Wildlife Wednesday and I'm joining Tina at "My gardener says..." to share a roundup of wildlife on this first Wednesday of February. Just a few feet from the back door and these photos were taken through the window from inside. They are curious and generally friendly. Kitty is hunkered down under the table so she's not taking any chances. 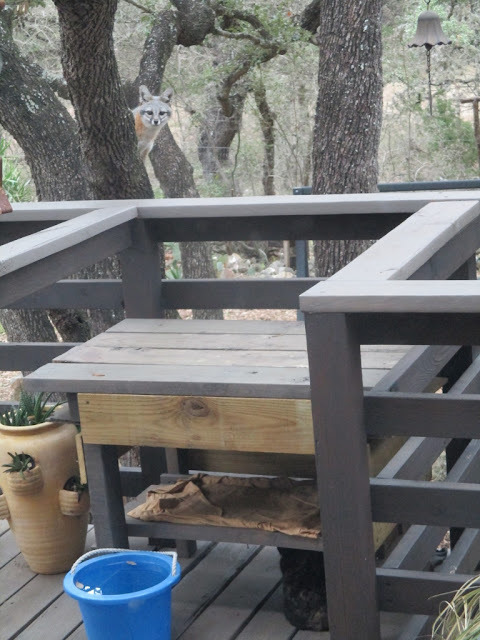 When she's not hiding from the foxes, Kitty is keeping an eye on our new resident Ms. Squirrel who has figured out how to defeat the bird feeder baffle which eventually broke off and will need to be replaced. An anole was just getting warmed up first thing one morning. It's not unusual this time of year to find immobilized lizards in the chill morning air. I was surprised to note it is darker brown and rougher in texture than the usual Carolina anole we see. After some research it's possible this is an invasive brown anole arrived from Cuba by way of Florida. There are reports that they crowd out our adorable native Carolina anoles. That would be a disappointment as I love watching our anoles in summer. We are hosting Caracaras again this year. Their habit of walking around when hunting is quite surprising as there are plenty of predators back there. I often post about the deer we fenced out several years ago. The photos mostly show one are two deer standing still. This month I have captured the herd of marauders in the act on video so you can get an idea how they can be so destructive. Note one is trying to grab vegetation through the fence! Check Tina's blog for her discussion of native plants for birds and more Wildlife Wednesday posts. You always have the coolest wildlife! I love seeing the fox, that little face is darling. Interestingly, I spotted a soaring Crested Cara Cara recently (2 times!) 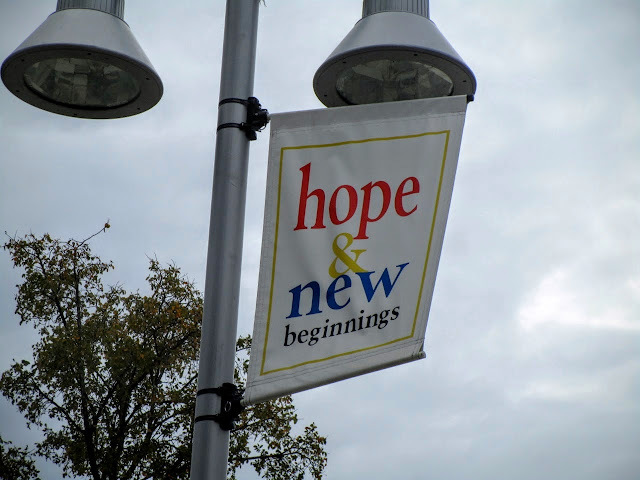 in my neighborhood. I've seen them south of Austin, and certainly in South Texas, but never in my particular neck of the woods. I'll be you're glad the deer are on the other side of the fence! It's always a surprise how much I come up with considering our surroundings. Currently there's a major highway project and huge sewer/water infrastructure project right out the back door. I love seeing your foxes and, well, all your wildlife visitors. 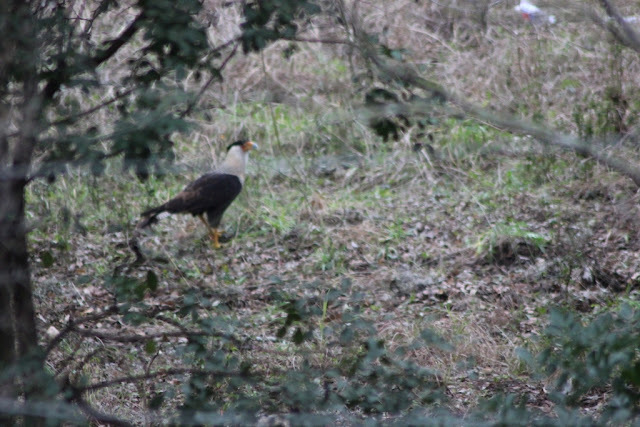 The Caracara is a magnificent bird and I was surprised to see that you have what looks like and entire herd of deer strolling along your fence. As to the squirrels, given enough time, they do seem to be able to thwart every obstacle. I saw one hard at work on one of my "squirrel resistant" feeders just several feet below a hawk sitting in the tree. Are they fearless or stupid? The video gives a better idea how the herd moves through. There are at least a dozen plus the bucks in their own herd. Squirrels are good at learning, hawks here raid the squirrel nest so yours should be more careful. What a fun post! Thanks for the reminder about Wildlife Wednesday--I need to join in one of these days. Kitty is wise to find a safe hiding spot from the fox. We have foxes and coyotes here, too, and I've seen their prints but never the animals. They seem to be somewhat nocturnal. 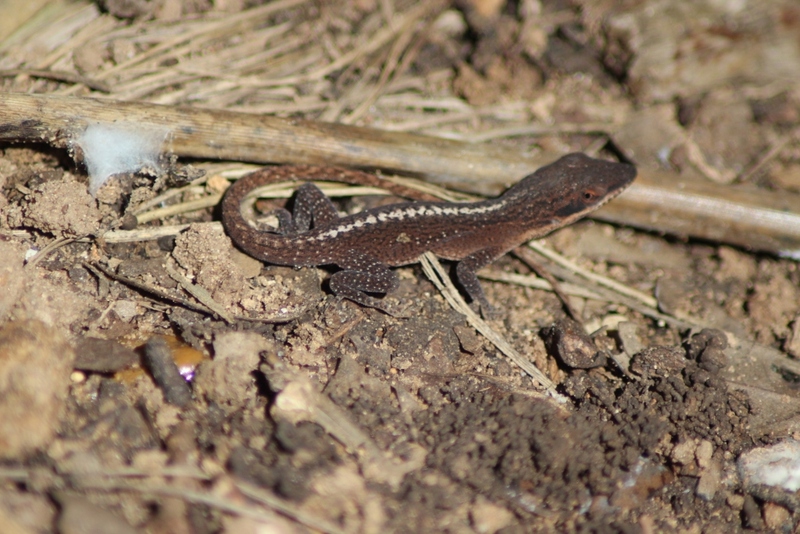 I so enjoy seeing anoles when we travel south--they are sweet little things. Happy WW! The foxes have been quite close to the cat and never seem interested so that's a good thing. You should find some nice wildlife with the wooded areas surrounding you. It's always a pleasure viewing and reading about life outside of my homeland Australia. An I enjoy your posts from a beautiful part of Australia too. How lucky to have both the fox and caracara! We are quite amazed by the variety we get to see from our back window. Your fox has a beautifully marked face. The gray fox are native which makes them quite special. You always have the most interesting wildlife in your garden. The face of your fox is so sweet looking. Thank you Peter, it is pretty amazing considering our location. We love having the foxes and other wildlife visitors.